POLICE will today release new CCTV photographs of punters placing bets as they escalate their investigation into the NRL betting scandal. 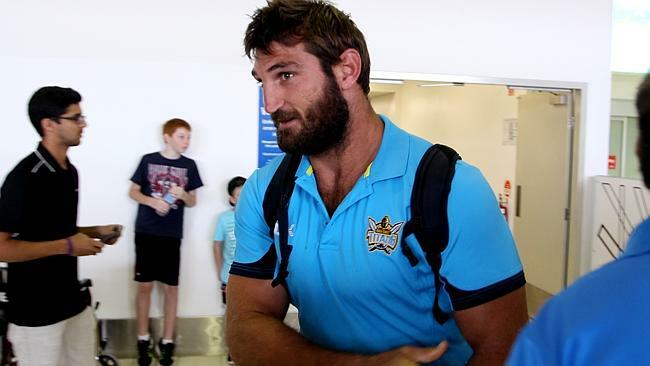 Detectives yesterday laid three new charges against Canterbury Bulldogs forward Ryan Tandy and also charged player agent Sam Ayoub and former star John Elias over an alleged attempted betting sting on the Cowboys-Bulldogs NRL game on August 21 last year. They face up to 10 years in prison if found guilty. Tandy has entered not guilty pleas to the charges and all three men will vigorously fight the allegations. “These are serious allegations which go to the heart of the game, and ultimately erode public confidence,” investigation head Detective Superintendent Arthur Katsogiannis said. The Daily Telegraph understands police have several more suspects in the rugby league world and are hopeful of laying more charges. This morning, police launched a public appeal to help identify four people depicted in CCTV footage who attended Sydney betting facilities in Beaconsfield, Ashfield and in the Queensland city of Townsville. Police are not suggesting the people in the footage have engaged in unlawful activity but believe they may be able to assist detectives. In the footage, one man is seen placing a bet at a facility on Botany Road at Beaconsfield between 11am and 11.20am on August 20. He was described as being of Middle Eastern/Mediterranean appearance, of slim build, with short black hair, aged in his late twenties and wearing a dark suit, light shirt and black shoes. In another length of footage, a second man is seen placing a bet at a facility on Liverpool Road in Ashfield between 5.20pm and 5.36pm on August 20. He was described as being of white/European appearance, of medium/solid build, with grey hair, aged in his late forties to early fifties and wearing a dark long sleeved shirt, black shorts and glasses. A third piece of footage shows two men placing a bet at a hotel on Sturt Street in Townsville between 4.16pm and 4.22pm on the same day. The first man is described as being of white/European appearance, of muscular build, with a beard/goatee, aged in his 20s and wearing a yellow polo-style shirt, black baseball cap with a motif on the front. The second man was described as being of white/European appearance, of slim build, with short brown hair, aged in his twenties and wearing a black t-shirt with a large motif on the front. “We’ll be calling for public assistance to identify more people,” Superintendent Katsogiannis said. 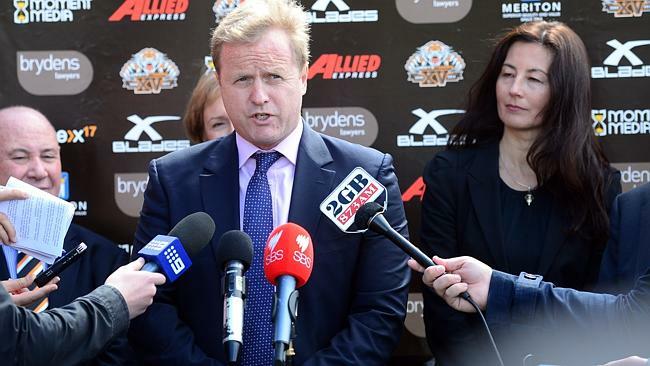 On a day that shook the rugby league world just a week out from the 2011 premiership kick-off, the probe into the betting scandal widened, with another match – Ryan Tandy’s Bulldogs debut against the Titans on June 18 last year – also under scrutiny. 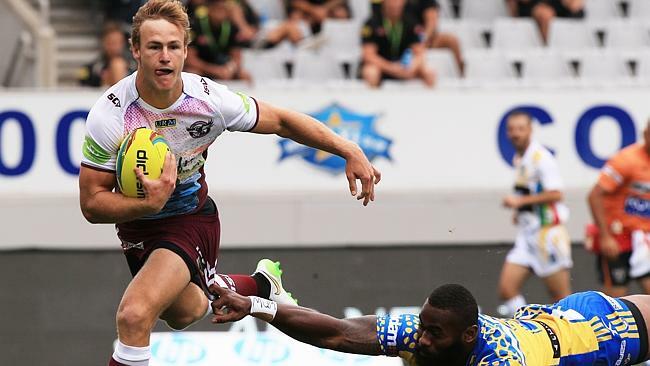 Bulldogs star Tandy appeared in court yesterday to fight allegations of lying to the State Crime Commission about his involvement in betting on two NRL matches last year. 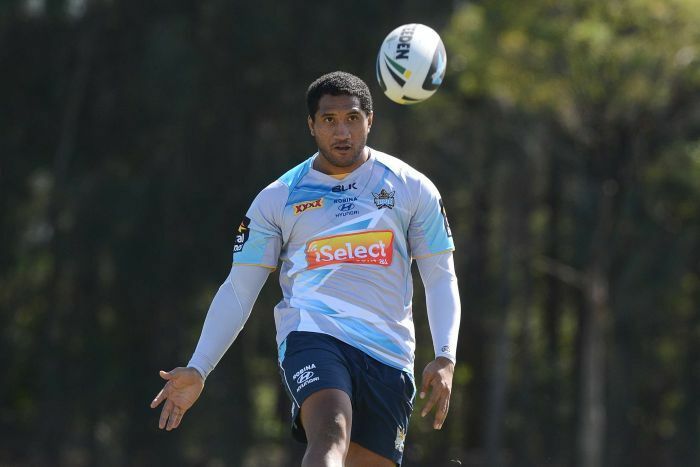 Three new charges were served on the 29-year-old star at Downing Centre Local Court yesterday, with one of the fresh allegations relating to the earlier game between the Gold Coast Titans and the Bulldogs in June 2010. The two other charges relate to giving false evidence. Tandy’s solicitor Danny Eid entered pleas of not guilty to all four of the charges on his client’s behalf. Tandy was granted police bail just hours after his arrest. 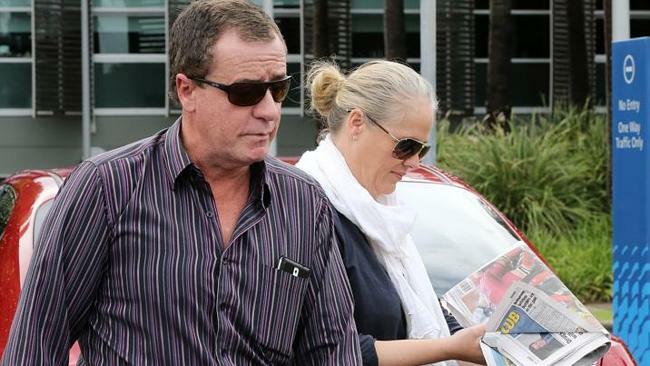 Elias’s brother George, a lawyer, told The Daily Telegraph: “John’s got no involvement in these allegations. NRL boss David Gallop warned that anyone found to be involved in match-fixing would be out of the game for life. “This [the arrests] is a seriously alarming development,” Gallop said of yesterday’s arrests. “Anyone who’s suspected of being involved in fixing a game or an element of a game is going to find themselves charged by the police and their place in the game I would say will disappear. SERIOUS charges are set to be laid against 10 people, including current and former police, after allegations of Gold Coast police using drugs, associating with criminals and turning a blind eye to crimes including nightclub drug rapes. Six police are also facing disciplinary action as a result of the Crime and Misconduct Commission‘s Operation Tesco probe into Gold Coast police misconduct. The first day of Operation Tesco’s public hearings has heard explosive evidence of Coast police stroking the Gold Coast’s dark underbelly. In his opening address, counsel assisting the inquiry, John Allen, said Operation Tesco was sparked after eyewitness accounts of Gold Coast police taking drugs and being paid bribes by criminals for tip-offs. Mr Allen said while the allegations were not proven, they were a ‘significant trigger’ for Tesco which had uncovered ‘significant evidence’ of police having improper associations with criminals and providing them with confidential information. 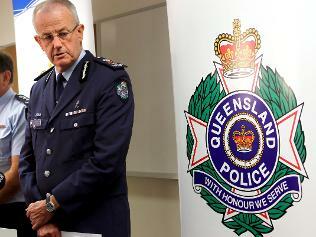 The inquiry was told drugs including 30 ecstasy pills and two bags of amphetamine were found during a raid in January this year on a Brisbane apartment where a Gold Coast police officer codenamed G7, and associates including a suspected drug supplier, were staying. During secret hearings, officer G7 admitted to taking ecstasy, using and supply ‘black market‘ steroids and receiving $100 drink cards at Surfers Paradise nightclubs and improperly processing bouncer licence applications. Officer G7 had also admitted to using the police computer to do criminal checks on girlfriends. Another officer, D1, admitted to associating with drug dealers and said the receipt of free drinks was ‘common knowledge’ among senior police. 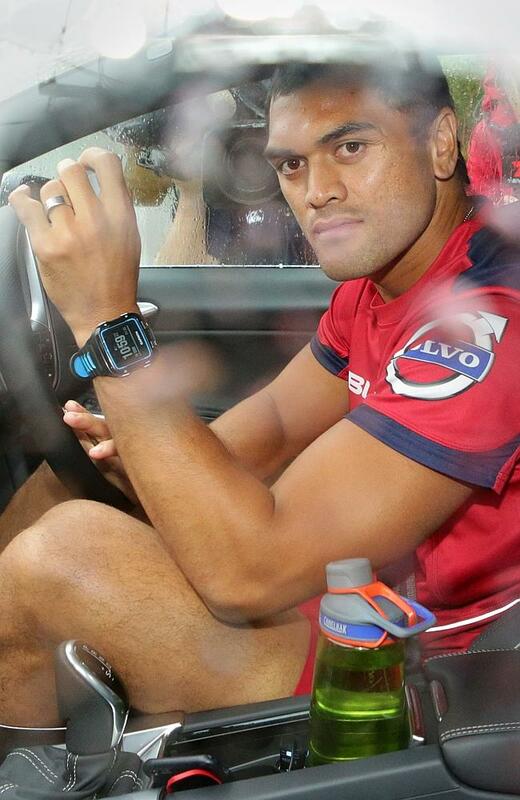 He said Gold Coast police also received free McDonald’s meals and tickets to Gold Coast Titans games. The hearing was also told that the use of ‘blue light taxis’ to ferry off-duty officers, friends and family to and from nightclubs and social functions was a longstanding and accepted practice among Gold Coast police. Mr Allen said there were reports some police whistleblowers were ‘harassed, intimidated, victimised and humiliated’ for co-operating with the inquiry. He said the CMC expected to lay charges against one current and one former officer and recommend disciplinary action against a further six officers. “Criminal charges are also expected to be laid against eight civilians, most of those being in connection with serious drug offences,” he said. The hearing is set to run for five days and will continue this afternoon with the first police witnesses.